Books, CDs & School Supplies - Get flat 25% off on Rs.750 & above at FirstCry. Offer valid on products which are listed on landing page. Maximum discount is Rs. 2000. Offer valid on selected products. Shop at 10kya and get flat 15% cashback on art and craft products. No coupon code is required. Hurry!!! offer valid only for a limited period. Give us your email so we can send you Baby Books Coupons once a day and our biweekly newsletter. If you are looking out for books to read to your little ones, to entertain them and make them learn stories, then you are at the right place. Now you can buy books for your baby from various online stores at very cheap rates with the help of baby books coupons available here. You can buy books like Amar Chitra Katha, story books, books for beginners, books with alphabets, numbers, objects, flowers, animals, birds etc that will help your little one to learn new things and enjoy. You can also buy books online in various languages including English, Hindi, Malayalam, Bengali, Kannada, Telugu and other languages as well. You will find books for baby brain development, books for baby care, books for baby food recipes, books for baby health, etc. Buy kids story books, children's books, stories for children online to save tour time and money as well as you will get all the best collection of stories for kids here. 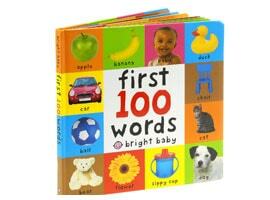 Use baby books coupons while buying them to save money.